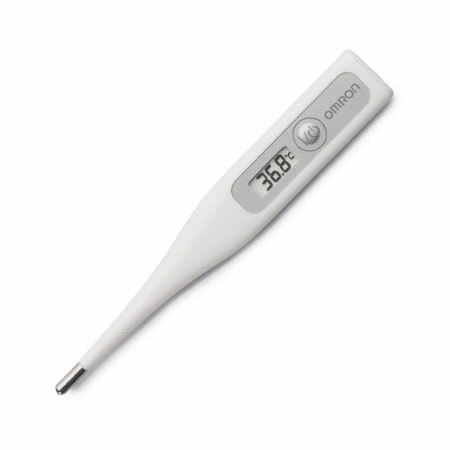 The Eco Temp Smart is a neatly designed thermometer following OMRON’s award winning design with an simple concept. The simple round tip enables the patient to use the thermometer safely and conveniently during all measurement methods. Being water-resistant and having an exchangeable battery are natural features for this product. The easy-to-use placement of the On/Off-button and the simple sleek design reinforces the recognition as a high-quality OMRON thermometer.